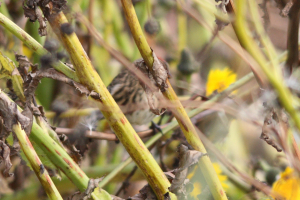 Observation - Redpoll spp. - UK and Ireland. Description: Clearly a Redpoll of some sort and some Arctic Redpolls were seen on this site at the same time. Clearly a Redpoll of some sort and some Arctic Redpolls were seen on this site at the same time.